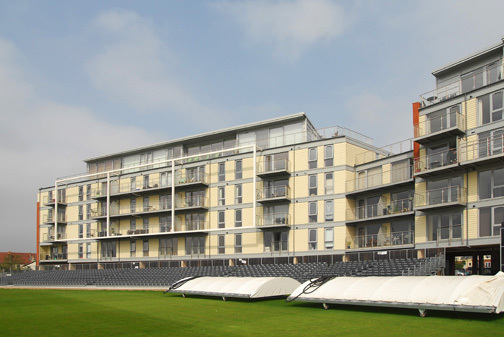 Metal Technology curtain walling, window and door products have been installed on a unique development of apartments at Gloucester County Cricket Ground. Designed by architects Stride Treglown and built by Galliford Try for Linden Homes, the scheme of 147 one and two bedroom apartments is part of the redevelopment of the site in Bristol that will see the ground become a major centre for national and international cricket. The unique location of the apartment blocks around the eastern edge of the ground maximises the view across the pitch. 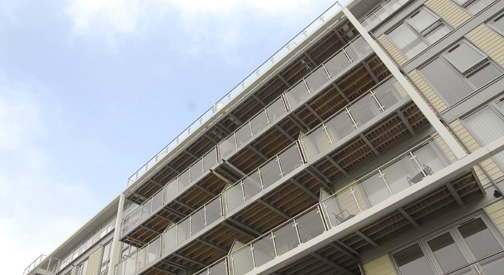 The contemporary design of the apartment scheme is enhanced by Metal Technology’s System 17 capped curtain walling. Ultra-flexible and aesthetically appealing, the system offers a wide-range of profiles, structural integrity and weather performance. 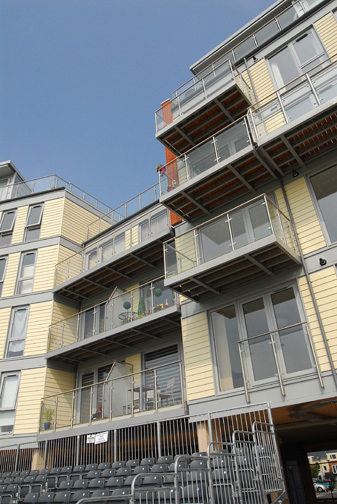 Complementary to System 17, three door products were installed on the scheme. System 10 Commercial doors, System 25 lift and slide balcony doors and System 5-20D Hi + thermally enhanced residential doors. This range of doors offered solutions to the design requirements, while providing the utmost in security and thermal performance for residents. A clear view of the action being a key selling feature, the window specification was particularly important at this development. Thermally enhanced System 4-35Hi + casement and 5-35Hi + tilt and turn windows offer the diverse profiles that fulfil design and performance criteria for high-quality residential projects.